Eighth-grade students have been studying the nature and history of the Church, along with the universal call to holiness of all of Holy Mother Church’s members. On Friday, October 30th, celebrating All Saints’ Day at East Lake Academy, eighth graders will name their Confirmation Saint or a Saint they find particularly interesting. Allen selects St. Lawrence of Rome; Anthony chooses St. Anthony of Padua; Colin is inspired by St. Thomas the Apostle; Drew picks St. Christopher; Grace opts for St. Maria Goretti; Nicole is going with St. Margaret of Scotland; Peter prefers St. Stephen; Siena honors Our Lady of Guadalupe; Sonte is moved by St. Monica; and Zachary gives the nod to St. John Bosco. Glorious Saints, pray for us. 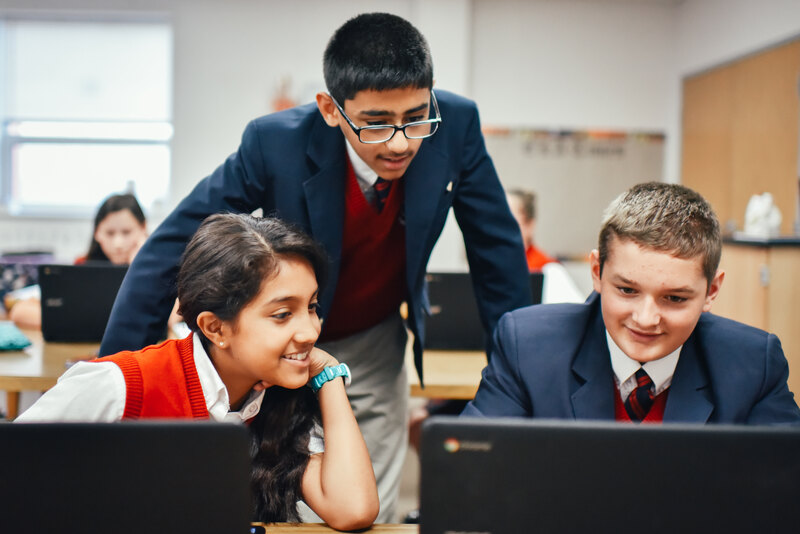 In their Geography class, eighth-grade students have completed their extensive examination of the geography of the United States, and they are now beginning to study the geography of Canada, our neighbor to the North. 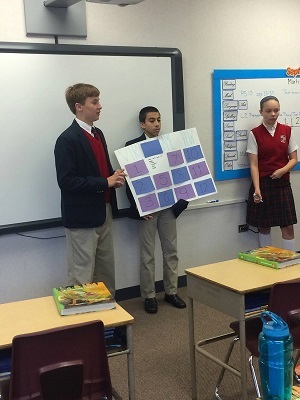 In their Leadership/Debate class, eighth-graders have helped to bring the virtues of loyalty and responsibility to life in teachings to Kindergarten through fifth grade classes and they have also engaged in formal debates amongst themselves. They have been learning not only how to debate topics but more importantly how to engage in critical thinking as an audience by distinguishing sound argumentation from specious reasoning. In the seventh-grade Religion class, revelation, grace and the moral life have been emphasized. At the All Saint’s Day celebration, seventh-graders will beautifully sing the Litany of the Saints. They have been studying Nineteenth Century United States History and Geography, with a special focus on the Civil War. The sixth-graders, who have transitioned nicely into the Middle School, have been busy learning about the first Americans, (Prehistory to 1492) exploring the Americas (1400 to 1625), and colonial America (1587 to 1770). It is a blessing to discuss important ideas with East Lake students and to see how well they answer questions in History/Geography Showdowns.